8-14 Girls Printed Tie Front Blouse https://www.review-australia.com/au/8-14-girls-printed-tie-front-blouse/RE19RK020.REYEL001.html An easy summer edition not to be missed, the Printed Tie Front Blouse is all that and more. This light weight top is made in a warm buttercup hue. Features a sweet front tie detail, cream and gold buttons, and a sunny floral print. Pair with the sailor shorts for outfit perfection! An easy summer edition not to be missed, the Printed Tie Front Blouse is all that and more. This light weight top is made in a warm buttercup hue. 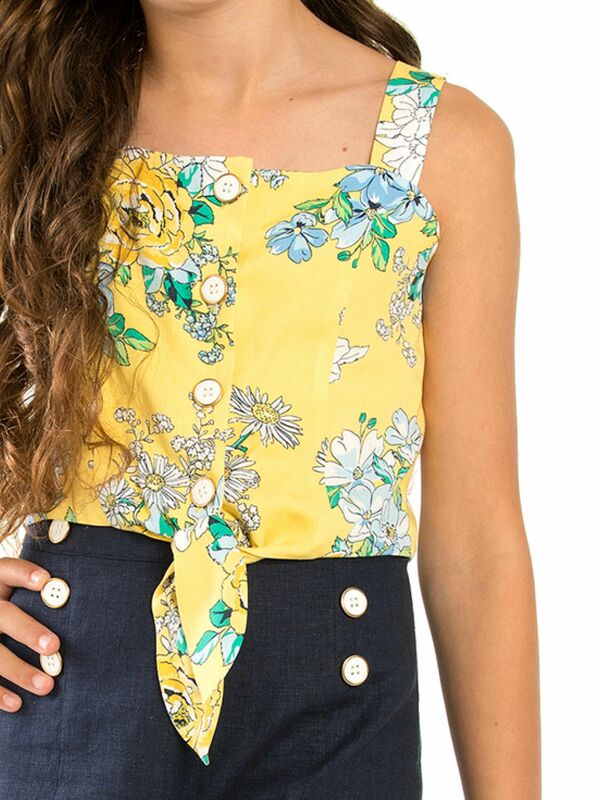 Features a sweet front tie detail, cream and gold buttons, and a sunny floral print. Pair with the sailor shorts for outfit perfection!